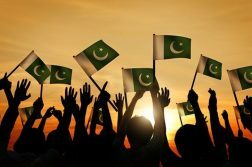 On 23 March 1940, a resolution was passed in which the Muslims of subcontinent demanded a separate homeland and from that day onwards 23rd March is considered as Pakistan Resolution Day. The resolution approved in Lahore on 23rd March 1940. To remember this historic day, Minar -e- Pakistan is the symbol, situated in Iqbal Park (formerly known as Minto Park). 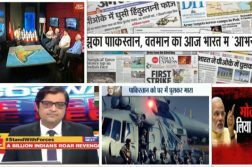 On this day, a full Inter-Services Joint Military Parade is performed and aired live by the news channels in across the country. President of Pakistan is usually the Chief Guest of the ceremony and along with the President; the Prime Minister of the State, Chief of Army staff, Air Chief Marshal and Admiral of Pakistan Navy, attends the ceremony. Wreaths are laid at the mausoleums of Iqbal and Quaid –e- Azam Muhammad Ali Jinnah; the Founder of Pakistan as well. General (retd) Pervez Musharraf last held the annual parade on 23 March 2008 as a civilian president. After his Presidency, the parade was abandoned, due to the extreme militant terror attacks on the military personnel and suicide bombings across the country. “The joint military parade has been canceled due to security reason and deployment of troops at western borders engaged in the war against terrorism,” the defense source had said in 2014. How the National celebration restored? In 2015 announcement to resume highly anticipated joint military parade by the armed forces of Pakistan appears to be a manifestation of the military’s show of strength in wake of the most shocking and coward attack on the Army Public School (APS) Peshawar by the militants, which left 150 people including 132 children, martyred. After that attack, COAS General Raheel Sharif has vowed to continue the fight against terrorism and flush out every militant out from Pakistan After the massive success in Operation Zarb-e-Azb decision to resume 23 March parade resumed in Islamabad after 7 years hiatus in 2015. The Pakistan Day parade held in Parade ground, Shakarparian in Islamabad. 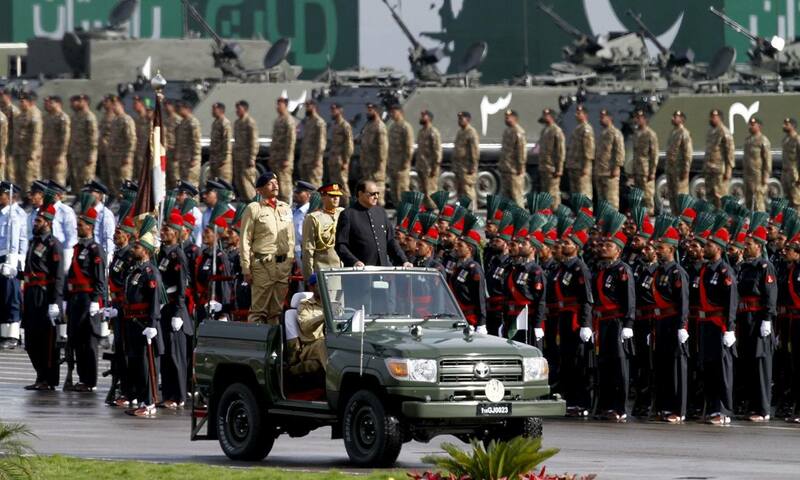 Personnel from all three services, Pakistan Army, Navy and Air Force, participate in the parade. 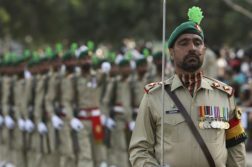 The joint military parade had been a regular event since 2015 until now with the display of folk culture of Pakistan, March-pasts, magnificent Airshow and civil award ceremonies. Now, every year nation celebrates this day with complete zeal and zest, Patriotism witnessed in their actions. Pakistanis wait for this day anxiously.